Hello! Thanks for stopping by the blog today! I’m loving this “Girl Boss” look. This outfit is suitable for work, church or whatever you want it to be. I love layering jackets, blazers and vests over my dresses. 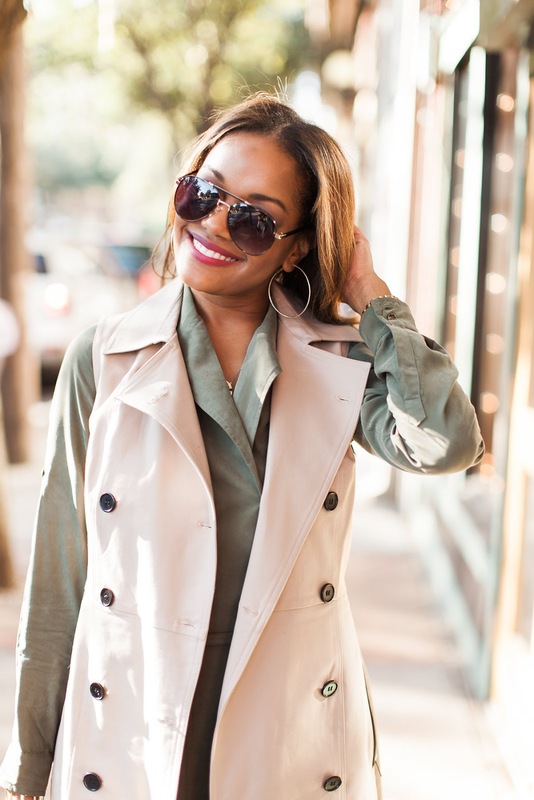 What a perfect pairing when I combined this sleeveless trench dress and my new Banana Republic olive trench dress to create this look! 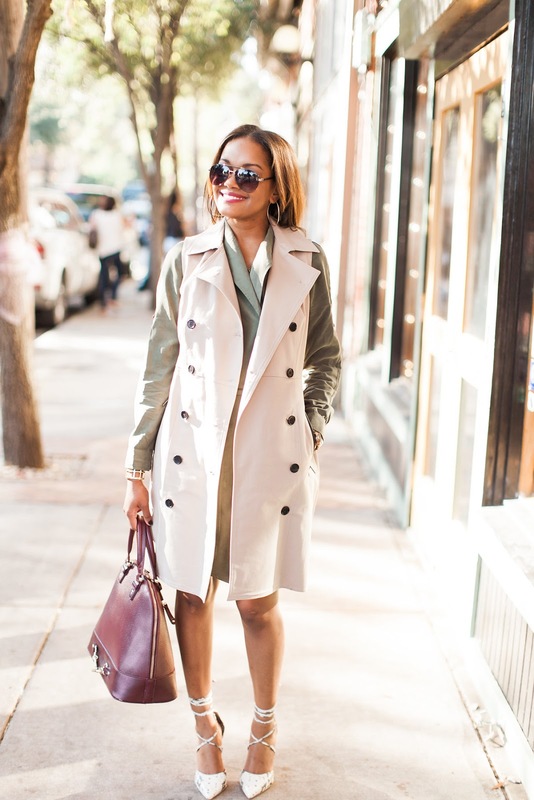 The sleeveless trench dress is last year Ann Taylor. Although I loved the dress, it never fit me right when I wore it buttoned as a dress, but I held on to it with plans to layer it and leave it open. 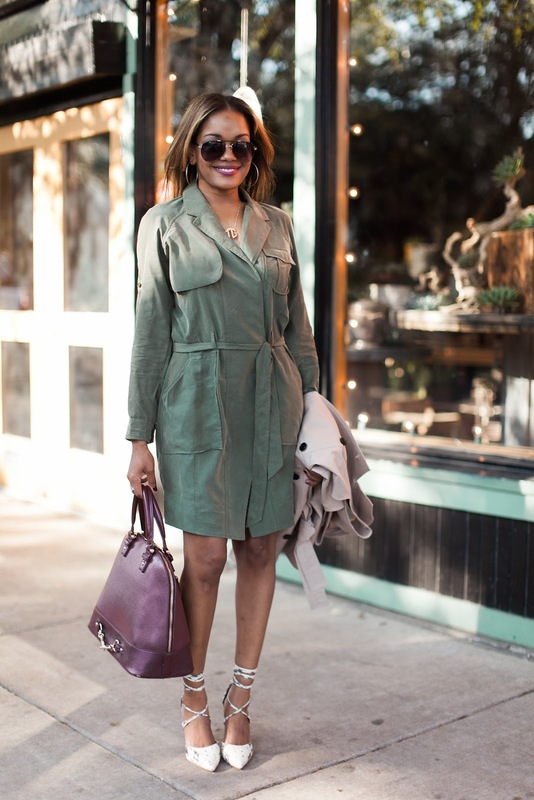 Ironically, this olive trench dress is a bit difficult to find a good fit in as well. You definitely have to go a size down or two because this dress runs big and the fit is not very tailored so keep that in mind. I was so happy to make these two dresses work by wearing them together. I wanted to share with you to always look for pieces that are interchangeable. 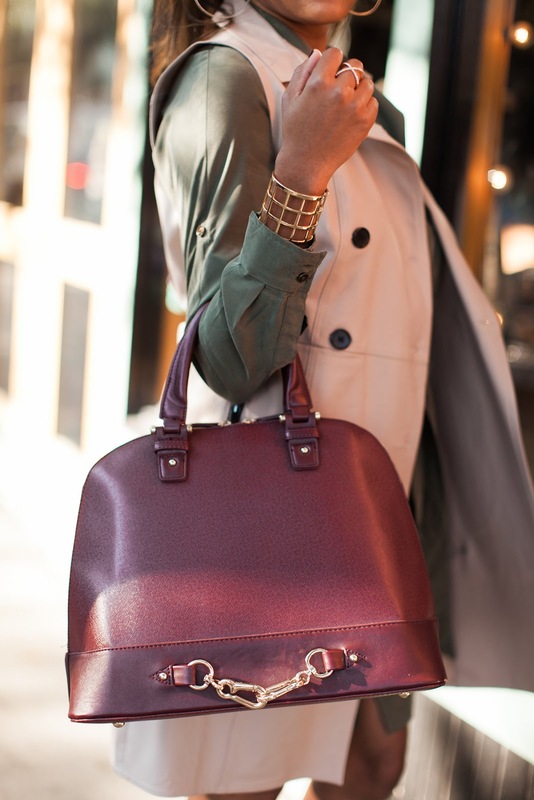 This makes it super easy to maximize your looks and get the most wear out of your closet. This will allow me to wear the sleeveless trench dress with a long sleeve top and jeans for another outfit idea. 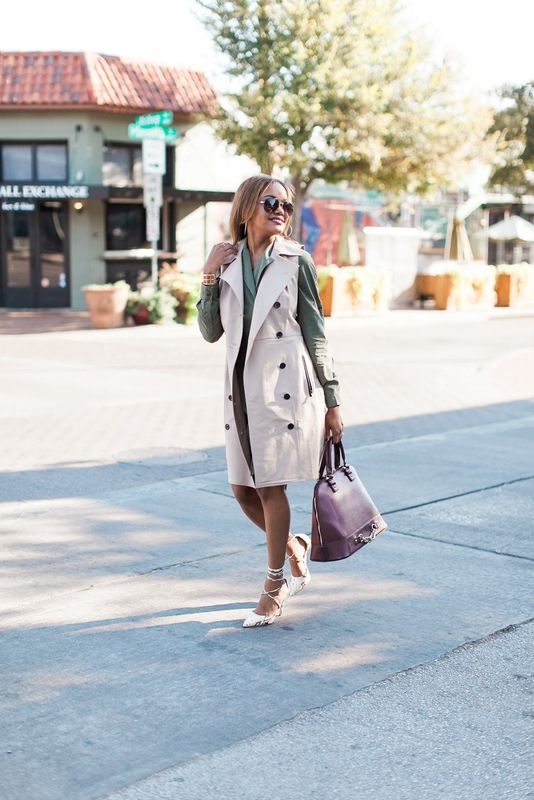 I can also pair the olive trench dress with cute leather leggings and heels to create a fresh new look. Tell me, how do you take two separate pieces in your closet and make them multi functional? I’d love to hear!! See you Tuesday! I have a beauty post coming up reviewing my picks from the Sephora Friends & Family Sale!! Sunnies- Aldo (old) Want THESE! Sephora’s Friends & Family Sale Haul! Black And White Look and Daycare Update! I need this ENTIRE look in my closet especially those Steve Madden pumps! You look so fabulous! love this outfit and the layering of the vest! Hi Tanika! 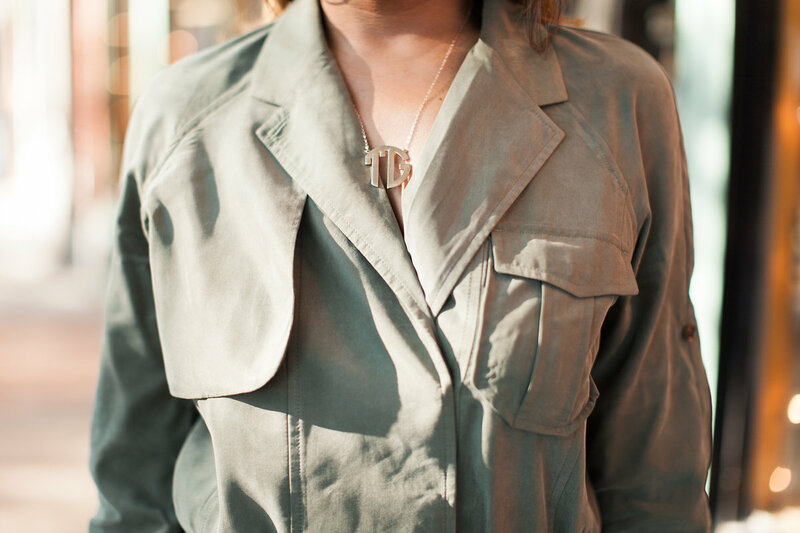 My name is Jessica, I am a blogger behind Cubicle Chic. 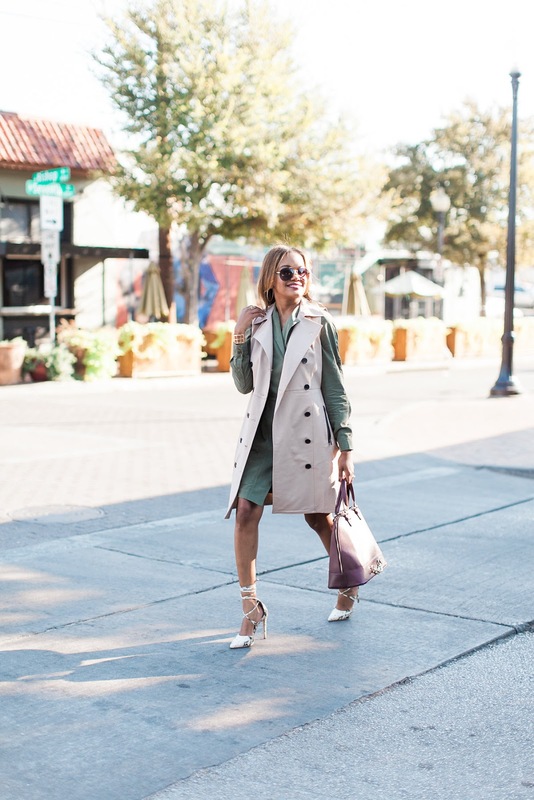 I just published a post for an outfit incorporating this same olive trench coat, and I referenced your photo at the bottom of my post, referencing your name and blog URL, because I feel like my readers would find that interesting. Feel free to take a look and if you would like me to remove your photo, please let me know! I will very promptly remove it. Thanks again! P.S. I really like the way you layered it with the vest! Totally taking outfitting to the next level! I would never have thought of that! I'm so glad you liked the look. I don't mind if you have it on your blog. Thanks so much for letting me know and stopping by! !